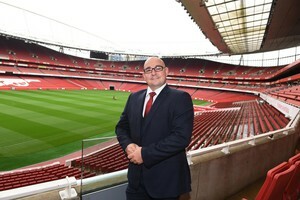 My name is Spencer Lee and I am the health and safety manager for Arsenal Football Club. 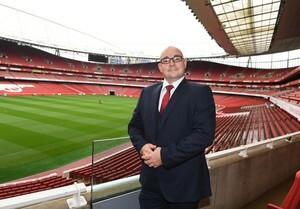 I am based at the head office building, Highbury House, at the Emirates Stadium. I have an office at the stadium for match days and I also spend time at the first team training ground in London Colney and Youth Academy in Walthamstow. I am motivated firstly because of the fact that I love my job. I have a great sense of responsibility and feel that if I do it well then everyone gets home safe and sound. Perhaps a little tired but not ill or injured from their day to day activities. I am passionate about my career and continuously strive for self improvement. 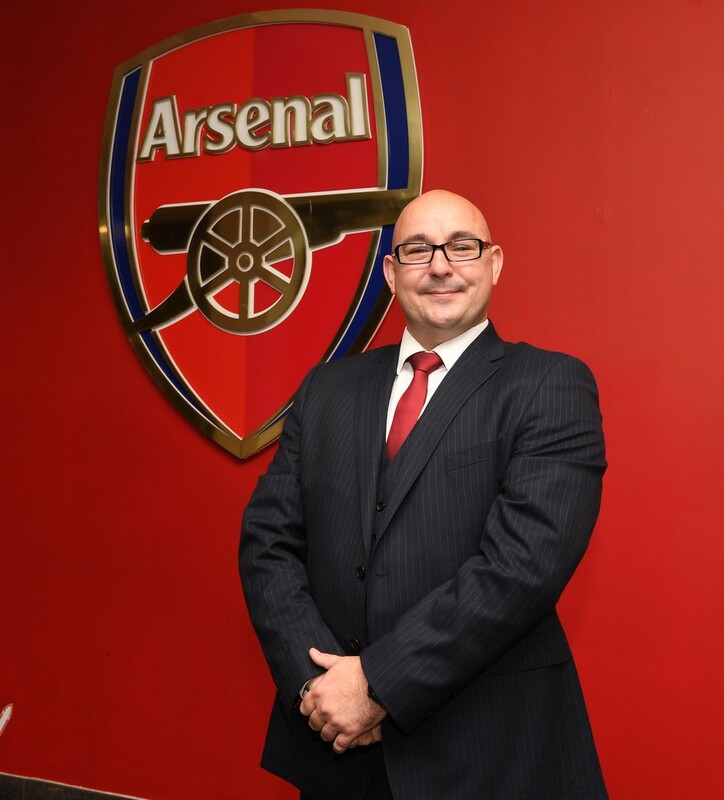 My days can vary but generally the role is quite strategic in the terms of developing comprehensive health, safety and welfare management systems and improving the health and safety culture within the club. I have created a three phase strategy that my team is currently implementing. The strategy started with a back to basics programme that includes a comprehensive hazard identification programme that empowers individual departments and the staff within to understand and take control of their own generated risks. The days are filled with meetings varying from the larger control of CDM projects and contractor management to various smaller departmental initiatives and events. Lots of inspections are undertaken and subsequent action plans implemented to ensure all findings are addressed in a suitable manner. 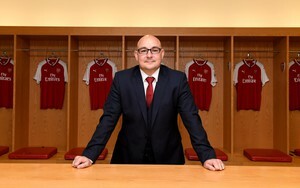 Time is spent working in liaison with other departments by my team and all DSE, expectant mother and back to work assessments are conducted and reviewed to ensure staff welfare is an important part of working life at Arsenal. Since starting at the club three years ago, the frequency of contact from employees and managers regarding health and safety queries and questions has increased substantially and dealing with these makes the role a pretty busy undertaking. On a match day this all changes. The day is very regimented with usually an early start where the stadium management team divide the stadium into several areas and as part of the stadium safety controls, each area is meticulously inspected. This includes every light bulb, toilet flush, fire door, staircase electrical connection for temporary catering concessions, fire fighting equipment and the general condition of all building fabric. Each of the inspections is written up as a required action plan for the maintenance teams to address prior to the stadium opening time. Being responsible for health and safety I also take time to have a look at all health and safety observations made by the rest of the stadium management team on their own inspections. Time is spent with specific contractors that work on match day to ensure that any safety critical issues are completed including management of fire exits, access and egress routes for the stadium and all restaurants and bars. An ongoing inspection of the whole stadium is permanently being undertaken by me on match day to deal with the fast changing environments. On a match day the stadium is well attended by the emergency services and liaison is made with the medical teams that includes four crowd doctors and approximately 160 first aiders. A safety tour is conducted with the London Fire Brigade's match commander where a random selection of catering facilities, fire control systems, exit routes and walkways and waste management areas are checked to ensure compliance and sign off prior to the public entry. During the match my role is very responsive and whilst staying generally mobile I listen for radio calls for any situations or incidents that need health and safety intervention, essentially very customer facing. At the end of the match I set plans for the following day on incidents and actions that may need to be addressed and I have a final liaison with the doctors to ensure I understand the types of injury or illnesses that have been treated for record. What is your favourite, or most important, piece of work equipment? Being fairly strategic and office bound for the majority of my time the most important tools I have are my eyes and ears. The success and failure of most initiatives relies on identification of changes and difficulties in understanding from the target audience of any implementation of process or control. Being able to read and engage with the stakeholders is imperative in a subject that is not always everyone’s first concern or thought. What route did you take to working in the field of in worker safety and health protection? After leaving school at the start of the 1990’s I began my career in manufacturing where despite some of the “old school” mentalities and great lack of health and safety management as I know it today, we were always encouraged to work safely and avoid accidents and although this seemed to be the extent of health and safety training that I received I did manage to survive those early working years. In the following years I continued to work my way up through the manufacturing and production businesses I was employed in until, in 2000, I was given responsibility of an entire production department in the plastic manufacturing industry when I became very aware of the requirement for safety in the workplace. I started working to ensure that my new team would be protected whilst operating the machinery in the factory and that processes were followed in what was the most sensible safe systems of work. All of this was a common sense approach with still no real health and safety training. After taking on the management of facilities for this particular manufacturing company I was invited into a meeting with the insurance provider who asked to see the Health and Safety Management System documents. Following the explanation of what these actually included it was suggested that I would take the responsibility for the Health and Safety Management for the organisation. Shortly after this decision I was enrolled with the British Safety Council for a Certificate in Safety Management and then the Diploma. Sometime after implementing the safety systems at the factory, I found that I started to have a passion for the subject and wanted to take the plunge into a full time Health and Safety role. I was offered a role at Entertainment UK and at this organisation I learnt that engagement and delivery was the key to success. I have always said that if you cannot get people to hear you they will never follow you down a path of change that they are not used to taking. After this great start I continued to develop my understanding and knowledge by undertaking further training including post graduate diplomas and a Masters Degree in Occupational Safety and Health. I worked for 6 years in a large London Bus operator dealing with another challenging area in my career where working with the Union required yet another delivery and implementation style. Again the engagement lessons learnt in the early days proved to be an asset in this environment. The next stage in the continuing story is when Arsenal Football Club asked me to join them to manage their specific Health and Safety needs which I am continuing to develop. What advice would you give to a person thinking of working in the area of health and safety at work? The main advice I would give to anyone thinking about working in the Health, Safety and Welfare field is: to ensure that you are on the road to technical expertise and ensure a good understanding of why it is we are working so hard on this subject and how it fits into the legislative framework. It is essential to know your audience and ensure that all details are explained at a suitable level for risk and responsibility. Understanding different personality types can also help to determine approach as in the Myers Briggs model, different people might be extroverted or introverted they may be sensing over intuitive and so on. This however, often shows that although people can have a well understood common goal, the direction of path can be very different, and if delivered poorly, differing personalities may struggle or feel unable to follow. Lastly patience is also important as despite being in place for a long time true Health and Safety Management can still be a difficult sell. The last time I laughed at work was during a training session on risk assessment only a few days ago. There are lots of anecdotal stories that pop up in these sessions and it always shows that no one is infallible. When explaining the reasons for risk assessment review and discussing accident trends I relate things to home life as most people understand this familiar approach. When getting on to accidents someone in the room felt comfortable enough to mention that I am missing the end of my right middle finger. It seemed funny at the time and ironic that the person responsible for safety at the front of the room has also got it wrong before. It is comforting to think that people feel comfortable to engage at this level and have a bit of joined in fun. This also improves the culture and people’s perception of a subject that would normally put people off. What’s the best part of working in your field? The best part of working in this field is the rewarding knowledge that everyone gets to make it home safe at the end of the day. I like people and it seems that this career choice allows engagement with all people at every level both inside and outside the organisation. This ranges from the Casual Match Day Stewarding Team to the CEO and Chairman of the Board. I also have the opportunity to network with some fantastic external stakeholders where this has resulted in being asked to chair the annual conference of the British Safety Council in 2017 and co-chairing the Stadia Sector Interest Group. The biggest challenges in health and safety for me is still cultural change. Although after the 44 years that the Health and Safety at Work Act has been in place there has been amazing reduction in workplace deaths however, the 137 employees and 92 members of the public that died in 2016/2017 is still way too high. There are also challenges in pushing forward with the staff welfare and mental health issues that are continuing to be recognised as a significant issue in the workplace and general society. 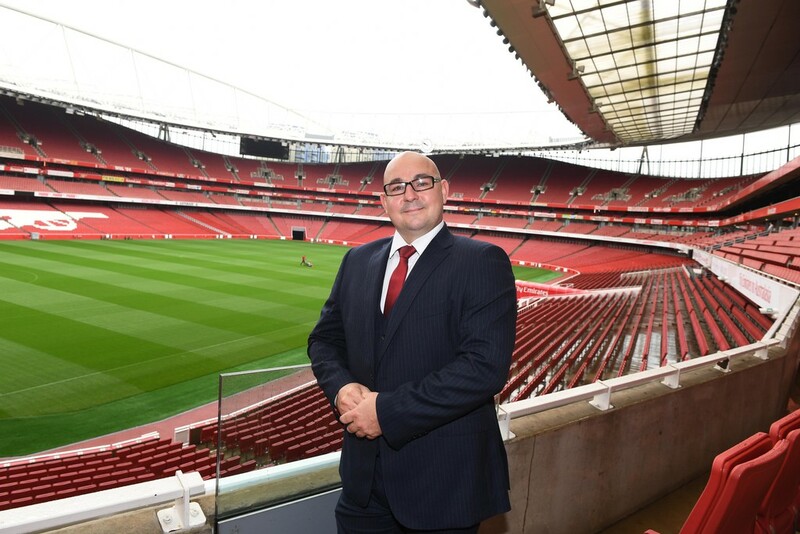 The strategy at Arsenal is as much about the “health” side of health and safety as the physical “safety” part. There is however a long way to go in improving the awareness of this issue and I can only say that with the work that Mates in Mind are doing in the construction industry, and the recent hard hitting play “31 hours” that was put on at the Bunker theatre in London, written by Kieran Knowles, identifying the challenges of stress and men’s mental health in the railway industry, we are on the right track.